At Develop-it, we believe great design is simple design. Less complex parts and assemblies result in lower manufacturing costs and produce products with greater reliability. Based in Perth, Western Australia, our attention to detail and more than 30 years of experience in design, testing, and manufacturing mean you will be working with a partner who is able to offer the highest levels of service. Let us help you bring to market class-leading products with excellent marketability resulting in increased sales. Develop-it offers a broad range of design and engineering services. From simple 2D drawings and illustrations, to complex CAD modelling of parts and assemblies, 3D scanning, 3D printing, and FEA analysis. Our mission is to help you with your next engineering project or product idea. We understand the needs of the entrepreneur and can offer help and advice on the most cost-effective approach to realising your ideas. We work with a wide range of clients, from International companies to Individuals looking to realise their dreams. Make us your first call for an informal discussion. Your confidentiality is assured and advice is given freely to set you on the right track. 3D modelling of parts and assemblies using Solidworks and SpaceClaim design software. 3D drafting of parts and assemblies. Leveraging suppliers in Australia, Taiwan, and Europe, we can help connect you with the right people for the job. Photorealistic images created from CAD models. Photorealistic animations and web widgets. With our modern, fast, 3D Systems CJP 660Pro printer. 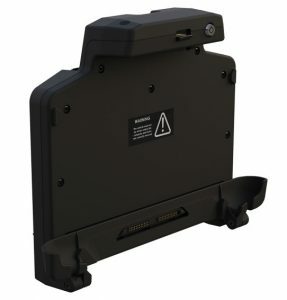 Fixed and fully portable systems available. Taking your scanned data or existing STL files, we can recreate your geometry in a full CAD format suitable for manufacturing. Using GeoMagic or SpaceClaim software to create NURBS or fully Parametric models. Develop-it is an Industrial Design company based in Perth, Western Australia. We specialise in product design, new product development, 3D printing, 3D scanning, reverse engineering, product visualisation, and technical documentation. With more than 30 years of engineering experience, we offer a comprehensive range of services, we believe that simplicity is the hallmark of great industrial design. Less complex parts and assemblies result in products that are more durable, more reliable and more cost-effective to manufacture. All of our core services are designed to offer our clients a streamlined, efficient and low-cost solution to their design needs. With the latest hardware and software tools Develop-it can serve as a turn-key provider for all your industrial design projects. Specialising in the design of sheet metal, plastic and machined parts for medical, industrial, automotive and IT projects and with an extensive network of local, national and international manufacturing partners, Develop-it brings a wealth of practical engineering experience to your team. Develop-it offers contract CAD design services for those clients who are looking for temporary workers to assist from time to time. We use the latest version of SolidWorks and are qualified to Certified SolidWorks Professional standards. 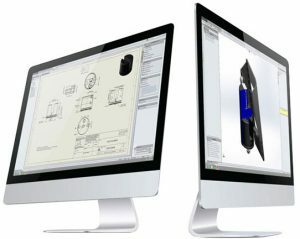 With 30 years experience in product design and development, we pride ourselves on being efficient CAD operators offering you the best value-for-money possible. Develop-it now offers a full-colour 3D printing services. Significant investment in a brand new 3d Systems CJP 660Pro strengthens our portfolio of services by producing full-colour models in sandstone material. Photo-realistic full-colour models and sculptures can be produced in addition to standard monochrome parts. Many of our customers have strict requirements regarding the protection of their IP, so all parts are produced on-site at our Canning Vale location and nothing is outsourced. Private direct upload links are emailed individually and all files are hosted on our DropBox. Our printer uses binder jetting technology to solidify individual layers of fine powder. Adding colour to the binding agent means these individual layers of the model can be coloured in the same way as an inkjet printer prints onto paper. Subsequent layers of powder are laid down and fixed with colour binder until the model is complete. This produces the most amazing full CMYK colour models in 600 x 540 DPI resolution ready to be finished. Because layers of powder are spread evenly across the entire bed of the machine, any powder that is not bound forms the support structure for the model. This results in complex shapes being easily achievable without the need to remove intricate support structures or deal with the surface finish issues these structures impact on the model. All of the unused powder is recovered by the machine and is recycled readily for use in the next print run. The technology leaves almost no waste which is great for the environment and means our customers are not paying for material they never see. Once complete, the models are transferred to our finishing station where they are infiltrated with a choice of materials that penetrate into the model, strengthening the structure and bringing out the vibrant colours. Develop-it offers professional 3D scanning services. We are based in the Perth area but the portability of our equipment means we can travel anywhere to capture your object. This data can then be used for processing into a CAD model or for inspection or 3d printing purposes. 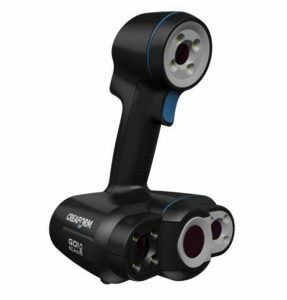 Using the latest high-tech fully portable scanners from Creaform, a leading global manufacturer of high-end scanning equipment, we are able to scan objects large and small with great accuracy and detail, wherever they may be. At Develop-it we understand that scanning is only part of the process required to generate a 3D model, so we can also take the scan data, refine the surfaces and output a high-quality solid or surface model suitable for your requirements in many different file formats. Whether you need high-quality NURBS surface models or a complete reverse engineering service, Develop-it can help. Browse through the demonstration video and sample scans below to get a feel for what is possible and then Call Us today to find out more about this technology and discuss your requirements. double click to activate full-screen view. Our 3D rendering and product visualisation services allow you to easily get professional quality photo-realistic 3D renderings of your products. The images we produce are suitable for visualising your project, producing presentations, creating catalogues, marketing materials, web content and for any use that requires accurate on-demand images. Different colours, materials, and textures can be easily substituted enabling you to make key aesthetic evaluations and decisions way in advance of actual production meaning you can develop the products with the highest marketability possible generating increased sales. Develop-it can design and model your product completely, or if you already have 3d CAD models we can easily work with these. We can overlay the rendered photos onto any background you require, having considerable Photoshop experience we can create a suite of custom high quality images as a turn-key package saving you from having to employ the services of many different creative professionals. Having professional looking images of your products weeks or even months in advance of having physical parts can give you the competitive edge you need for your products to be successful. Be ready to go at launch time by having all of your marketing images ready early on in the development cycle. Call develop-it now to find out how we can help you. 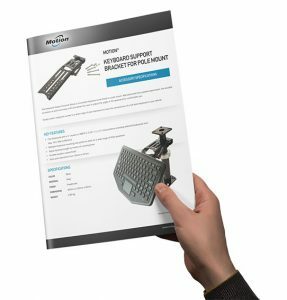 Develop-it uses Solidworks 3D design software to quickly develop plastic and cast part designs that meet requirements for product performance and manufacturability. 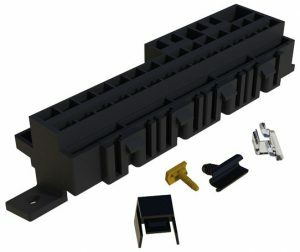 A broad set of design tools enables the creation of simple or complex plastic and cast parts and ensures that designs can be successfully moulded and manufactured. From consumer products to the medical and aerospace industries, plastic and cast parts are critical to successful product designs. 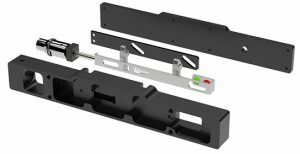 SOLIDWORKS provides a set of the fully integrated plastic part, cast part, and mould design tools so designers can easily validate that the parts they design can be molded successfully. Tools allow designers to check for draft, thickness and undercuts to ensure the correct geometry for molding. SOLIDWORKS also includes basic and advanced photorealistic rendering tools to create real-life images of models, including proper texture and translucency. Mould design tools speed the creation of plastic and cast part tooling by providing automated functionality for shrinkage compensation, parting surfaces, and mould splitting. The mould always references the part design — if the design changes, the mould will update accordingly. That means changes to the part design can be incorporated faster and easier. In addition, mould-filling simulations show how melted plastic will flow during the injection moulding process to predict manufacturing-related defects on parts and molds, enabling us to quickly evaluate part performance and manufacturability during the design process. Develop-it partners with Plastics, Moulding, and Tooling, a Perth based plastics manufacturing company and together we can offer clients a turn-key solution for all plastic parts requirements. Develop-it create sheet metal part designs using SOLIDWORKS 3D design, accelerating the design process, saving time and development costs, and increasing productivity. Develop-it has many years of experience designing sheet metal parts and assemblies. We have manufacturing partners for both low and high volume production and would be pleased to discuss your ideas or requirements. 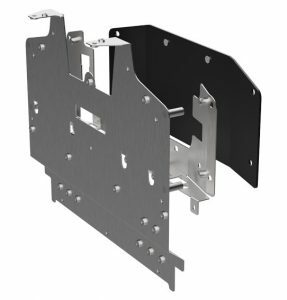 Please contact us today to find out how we can help you design and manufacture quality sheet metal parts. Develop-it uses SOLIDWORKS 3D design software to quickly develop and assess part and assembly performance. With built-in tools to rapidly create design variations and compare multiple configurations, we have the tools needed to get your product into production with the confidence that it will be right the first time. Whether you need help with an entire mechanism or just a single part, contact us today to discuss how we can help you design better parts with reduced manufacturing costs and greater reliability. 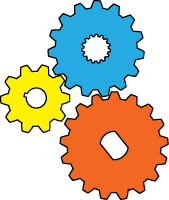 Develop-it can design and produce patent illustrations, line drawings and exploded diagrams for patent applications, documentation, and marketing material. 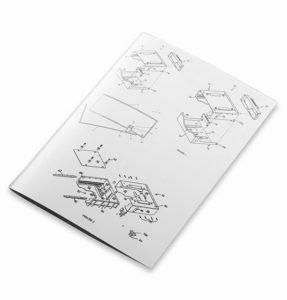 With patent drawings, you can show exploded views that allow you to show how the parts fit together. This enables the patent attorney to describe how to make the invention step by step, which is not only a good idea but a requirement of a patent application. Of course, such exploded views invariably focus on the internal, not the external and accurate, descriptive illustrations are an essential requirement to support your application. A patent applicant is required to furnish at least one patent drawing or illustration of the invention. If a patent drawing is not provided in the original filing the outcome can be catastrophic, it is therefore essential to understand the patent drawing requirement as being paramount to the success of your application. Detailed drawings are worth a thousand words, if not more. This is true because if you accidentally leave something out of the written disclosure, a drawing you submit may save you in the long run, provided of course it is detailed enough to convey detailed information about your invention. Because the detail of the patent drawing is what saves you, having Develop-it work with your patent attorney to create the most precise illustrations possible will save you time and money in the long run. A huge benefit in choosing Develop-it to help with your designs is that a lot of the ground-work necessary to create your patent illustrations can also be leveraged to create rendered product images that become a ‘virtual’ prototype of your product. Not only are these useful to help visualise form, colour, and texture, they are great for product brochures and a host of other marketing materials. 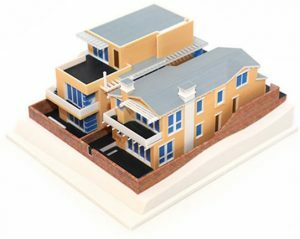 Once the 3D CAD models are done, as many illustrations, drawings, and photo-realistic images as you want can be output, from various rotated viewpoints, as well as a variety of close-up views. Think about the last time that you consulted user guides or a manual. Did you start at the beginning and read the whole manual? Probably not. You probably looked first at the index or the table of contents. Once you found the right page or topic, you probably scanned the page first to see if it contained the information you needed. This is how most people read manuals. No one wants to read a user manual. No one will read your user manual from front to back. Technical documents are not novels. Readers want user manuals to answer their questions quickly so that they can get back to whatever they were doing. A successful user manual provides users with quick answers to the questions that they might have about a particular product. Users searching for information don’t want to know about the latest and greatest features of a product. Users want to know how to complete tasks. Technical writing focuses on user tasks and the concepts that support the tasks. At Develop-it we think like a user. We focus on gaining an understanding of your audience as well as understanding your product so we can create the information they need to know. By thinking like a user we can develop the rich content they need to know and present it in a logical and clear manner. I consent to Develop-it collecting my details through this form.